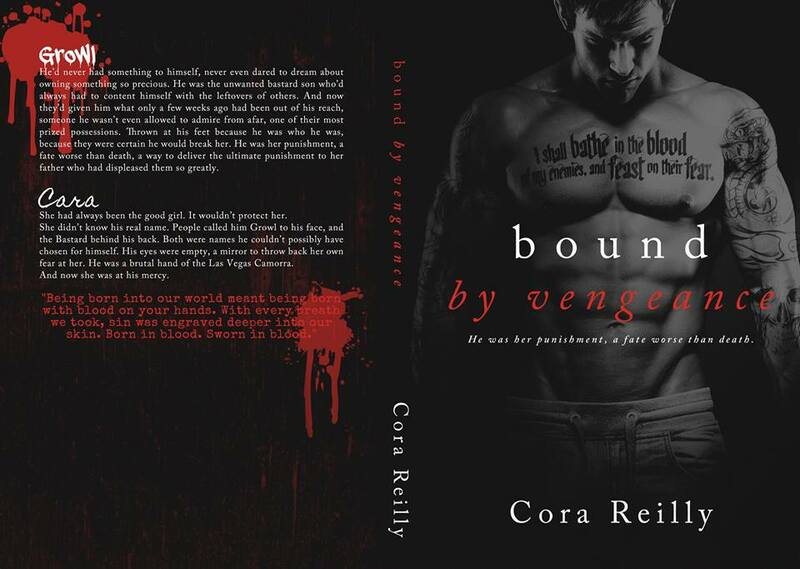 The Bound series is written by Cora Reilly. They are fictional accounts of the New York and Chicago Italian-American mafia families and their attempts to put to rest decades of violence between them in order to solidify their power. Russian and Taiwanese crime syndicates have been gaining power along the Northeastern coast of the U.S. Each book features a couple that have been matched in an arranged marriage to strengthen their families’ positions in The Outfit (Chi-town) or The Cosa Nostra (NY). Bound by Hono[u]r: book one features Luca, the heir to the NY criminal throne and Aria Scuderi, the 18yo daughter of Bigshot #2 in Chicago. 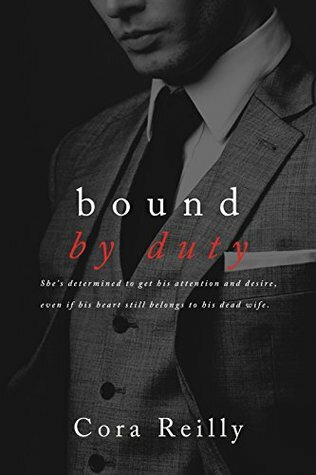 Bound by Duty: book two features the new Chicago Capo (Dante) as he ascends following his Father’s retirement and 24yo bride, Valentina, also from Chicago. Bound by Hatred: book three features Aria’s younger sister Gianna and Luca’s younger brother Matteo. With the passing of time in book world, Gianna is also 18 when she marries. No child brides here. I discovered these books by searching for recommendations on goodreads and google and read all three over two days. The stories really attracted me and were exactly what I felt like reading last week. All three follow the same basic principle of big bad Alpha mafioso male protagonist (I can’t bring myself to say hero, they’re definitely anti-heroes) and a younger, virgin bride. Despite these similarities, so far the characters have all had very different personalities. Reilly isn’t just duplicating a successful debut novel. That fact that she is a relatively new author, within the last year or so is astonishing, because she is pumping these babies out! I admire her story-telling, and while I’m sure that there are people in the life who would say that they aren’t remotely accurate, to me they are, and what’s more, they are entertaining. My only major criticism is that this lady needs an editor and quick. I suspect that she is self-publishing the books on Amazon, and more power to her, but there cannot be any third party editor reviewing. The grammatical mistakes are endless, irritating, and ultimately distracting for the reader. Little words that give sense to a sentence like “to” or “for” will be missing. Or miscalculating how many inches taller Luca is than Aria; you specifically said that he is 6″5 and she is 5″4, that makes him 13 inches taller (there are 12 inches in a foot), not 10 as specified in the wedding kiss scene. Ms. Reilly, please find a passionate and detailed editor! If you are reading this, I will gladly fill the role for you. Nothing is a bigger pet peeve for me than stupid little ‘housekeeping’ mistakes ruining an otherwise well-told story. Since I read the Bound books so quickly and they are part of a series, I am mostly reviewing them as a set, but I do have a few individualized comments. The first book (Aria and Luca) was probably my favourite in the series. I liked the evolution of Luca and Aria’s relationship and although Luca was a lot more patient with their wedding night than I think he would have been as a real-life Capo, his sweetness towards his wife was redeeming. Secondary characters pop up regularly throughout the series, and I found it to be a little annoying in this one. Aria was such a sweetheart that she didn’t stand up to her out-spoken sister Gianna … which made me want to tell G to just shut the hell up at times. I get that she was protective of her sister and Gianna gets mouthy when scared. Given the lifestyle they were born into, that’s just about all the time, but there was too much going on in that respect. I really wanted Aria to turn around and tell her “Gianna, you are making this harder on me” but they never had that adult to adult conversation. It’s too bad, it would have cut down on tedious arguing between Luca and Gianna and allowed for more character development in both girls. Bound by Duty is Dante and Valentina’s book. This was my least favourite but that has more to do with my personality clashing with the hero and heroines’ than poor story-telling. An emotionally closed-off male character is a complete turnoff for me, just as it would be in real life. Valentina had a strong personality, but she wasn’t super confrontational, she backed down before a situation went too far. That is probably what worked for their relationship but I refuse to live through intermittent “cold wars” so I felt disconnected from them. I did like the subplots with Bibiana though, and at the end when Dante has absolute faith in his wife, it was heart-warming to see how his love for her had grown. The last book in the series thus far is that of Matteo and Gianna. I love these two together! I suppose my main criticism is the same as I had of Gianna in the first book: that she is so incredibly bratty and mouthy when scared, which is most of the time, and she never really overcomes that satisfactorily. As a result, she is extremely emotionally dishonest and I wanted to shake her. I would have liked to have seen her mature more throughout the book and be braver, more willing to share how she feels with Matteo and Luca rather than reacting and attempting to cover her true feelings. Hopefully we will see her evolve in the next novel, otherwise I don’t know how good a life she will have. Still speaking on Bound by Hatred, although this book was only my second favourite in the series, it had my favourite scene! I love see the Russian interrogation was which glossed over in book one, and the interactions between Matteo, Gianna, Luca, Lily and Romero that occurred here. The book started off with action! But BbH didn’t top my list because I would have emphasized different scenes in the book than Reilly chose to. I felt that (minor spoiler ahead) Matteo taking G’s virginity was a much bigger deal, because of how their marriage came into being. It was such an opportunity to foster honest emotions and grown-up relationship conversations between them and it didn’t happen. The same at the end of the book…. how to say this with minimal spoilage. Hmm. I expected the confrontation that occurs between Luca and Gianna to be much bigger and more explosive. I actually expected it to by physical on Gianna’s part, with the way he stayed in her way and refused her entrance. I was disappointed that there wasn’t one big blowout before they make peace in the epilogue. That last bit showed a huge amount of character growth on Gianna’s part, and though we didn’t see as much of “real Luca” in there as I would have liked, hopefully we get glimpses in book four. Bound by Temptation will be released in June 2015 and it will feature familiar characters, the youngest Scuderi girl, Liliana, and NYC ‘made man’, Romero. Liliana Scuderi has been in love with Romero from the moment she first saw him. After her sisters were married off for tactical reasons, she hopes she might be allowed to choose a husband for herself, but when her father promises her to a man more than twice her age that hope is crushed. No begging can make him change his mind. Romero has always ignored Lily’s flirting. Her age and status made her off-limits but even someone as dutiful as him has only so much control. Wanting her when she’s supposed to marry another man could mean war between New York and the Chicago Outfit, and Romero has always put the Cosa Nostra first. Lily suspects her sisters and Romero would risk everything for her, but is her happiness worth that much? Is love worth a war between the Cosa Nostra and the Outfit? I can’t wait until the next book is out! I already pre-ordered it for my kindle, hope someone else out there falls in love with this new author as well. Edit: Since I wrote this post, the author has also released the cover and blurb for the fifth book, due out Fall 2015!! !